Did you know there’s a “silent killer” out there that could potentially invade your home without warning? You can’t see it, or smell it, but it could hurt you and your family before you even know what’s happening. It’s called carbon monoxide. What Exactly Is Carbon Monoxide? By definition, “carbon monoxide (CO) is a colorless, odorless, and tasteless gas that is slightly less dense than air.” It’s also toxic to both humans and animals “when encountered in concentrations above about 35 ppm,” and can cause carbon monoxide poisoning. If that wasn’t enough, this virtually undetectable gas is also highly flammable. More serious symptoms include visual disturbances, the aggravation of certain preexisting conditions, heart or respiratory disease, impairment of cerebral function, seizures, and even comas. If you suspect you may be ingesting carbon monoxide, try to shut it off at the source and get yourself and any loved ones or pets out of the home and into the fresh air immediately. Then call 911. How Does Carbon Monoxide Get In? Carbon monoxide comes from combustion, which means it can be found all over the place. If you have a non-electric vehicle, it emits carbon monoxide (which is why leaving your car running in an enclosed space, like a garage, can be deadly). If you have a gas stove, boiler, or heating system there is a chance your home actually produces quite a lot of carbon monoxide. When your systems break or leak, carbon monoxide can escape and infect other areas. The only thing that can counteract carbon monoxide is oxygen. If you are exposed, go outside or find fresh air as soon as possible. Take slow deep breaths. If you think you may have carbon monoxide (CO) poisoning, call 911 and get to a hospital so they can give you pure oxygen to return your blood levels to normal. Make sure if you own a fireplace you keep your chimney clean, and your flue open when you light a fire. If you happen to have a gas fireplace, make sure the glass is airtight and secure to prevent gas leaks. Make sure you have proper airflow for your property’s HVAC systems. Blocked vents can overheat your furnace and cause all sorts of problems that can lead to carbon monoxide leaks. Also, have your HVAC systems serviced and inspected regularly for any damage that might lead to a leak later on. Make sure you install carbon monoxide detectors/alarms in your home to warn you if levels rise above a safe limit. This will help take the guesswork out of the whole process. Just remember to replace the batteries every so often so they work properly all year round. Make sure you’re extra careful when it comes to using any space heaters that use any sort of fuel. Make sure you never ever run your vehicle inside an enclosed area, or try to heat your home with a gas oven! 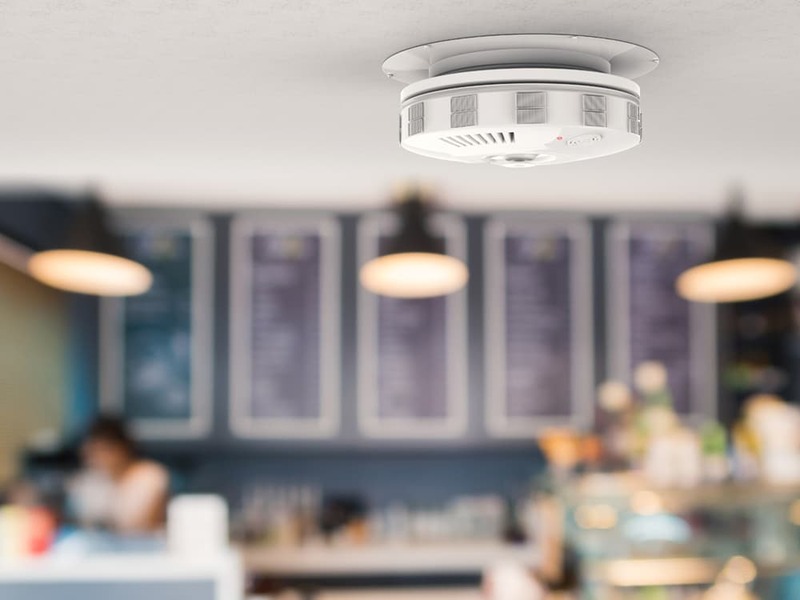 To have your home tested for carbon monoxide, and ensure the protection of your family, we encourage you to get in touch with our air quality specialists at AFM Heating & Cooling. Call AFM Heating & Cooling at 734.464.6700 for a free consultation, or simply fill out the form in the sidebar, today. Have You Changed Your Humidifier Water Panel Recently? AFM Heating and Cooling is one of the best companies I've ever dealt with. You won't find a better company for all of your heating and cooling needs. Quick response, even after hours, reasonable pricing. I have used several HVAC companies in the past and none come close to the quality and professionalism of AFM Heating and Cooling. I have used them for almost two years now and feel confident in their work to recommend them to others. First, their prices are very reasonable. I have had both furnaces and water heaters installed and can assure you that I have paid prices that are below market value. How do I know? I have asked other people in the industry who have affirmed that I got a good deal. Moreover, I checked at Home Depot what it costs for a new water heater and they charged me less for it AND to install it. In other words, the water heater with installation by AFM is less than what a single water heater with no installation costs at a big box store. Second, they back their work up. In situations where something did not work, I simply call them up and someone has come up to take care of it without being charged for a service call. Third, they get out their as quickly as possible. On several occasions, I have called a specific day and someone has come out a few hours later. They have also scheduled me in advance and have come at that specific time without any problems. Fourth, they pull permits, follow code, and communicate with city inspectors for you. They also will contact the manufacturer on your behalf to order a new part if something malfunctions. This is important since it means they honor their work and hold themselves responsible. This is actually quite rare in the HVAC industry. It is also worth noting that they are licensed and insured, which is not always the case with a lot of HVAC people. Fifth, they have an office and keep records. They do not operate out of a van like 90% of HVAC people who disappear right after you pay them. They keep records of the work that they have done at your place and follow up with you. Additionally, the staff there is very accessible and prompt. I have communicated with them through phone, email, and even text message. They really do build their service around their customers' needs. Anyway, unless you feel comfortable working on large mechanical devices like water heaters and furnaces that can potentially cause lots of damage and even kill you in the case of a furnace (i.e. carbon monoxide poisoning), I recommend using this company. We were so happy that your technician was able to fix our 25 year old central air conditioning. He could have been dishonest and told us we definitely needed a whole new system, given how old the system is, but he was very straight with us and fixed two problems...and then there was wonderful, cool air! Cost, including refrigerant, was only $281! We had been very worried about having to pay over $5,000, based on estimates online. Thank you AFM for your integrity!